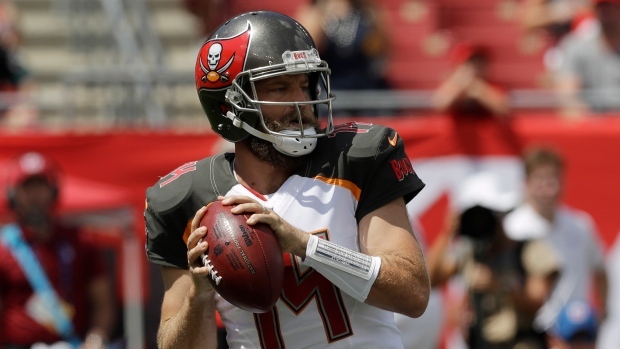 MIAMI — Ryan Fitzpatrick will become the Miami Dolphins' caretaker quarterback. The well-travelled veteran agreed to terms Sunday on an $11 million, two-year contract as a replacement to Ryan Tannehill and a placeholder until the Dolphins can draft their franchise quarterback. That could happen next month, but is more likely in 2020. The Dolphins traded Tannehill on Friday to the Tennessee Titans in a deal that also involved draft picks. Tannehill became Miami's starting quarterback as a rookie in 2012 and never took a snap in the post-season. They're still in the market this off-season for help on the offensive and defensive lines and at cornerback.